Standing proudly in Nottingham city centre are many old industrial buildings that are now high-end accommodation, shops and bars. This area is still known as the Lace Market, but lace was not just sold. For over 100 years Nottingham was the lace making capital of the world. For as long as people could remember, lace was made of silk and woven by hand. As a result, it was expensive and the preserve of the wealthy. As part of the industrial revolution, Nottingham inventors and entrepreneurs sought a way of producing lace that everyone could buy and they completely changed the nature of the industry. Lace making around Nottingham grew out of the stocking knitting trade. In 1799 there were six lace makers in Nottingham; by 1832 there were 186. The invention and manufacturer of lace making machines replaced the time consuming manual process and drove the rapid growth of lace making. 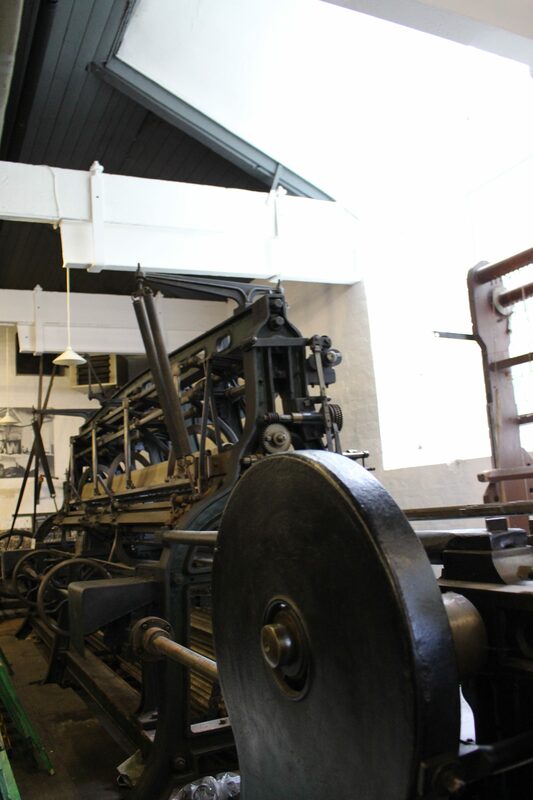 The first machine-made lace was an altered hand knitting frame. 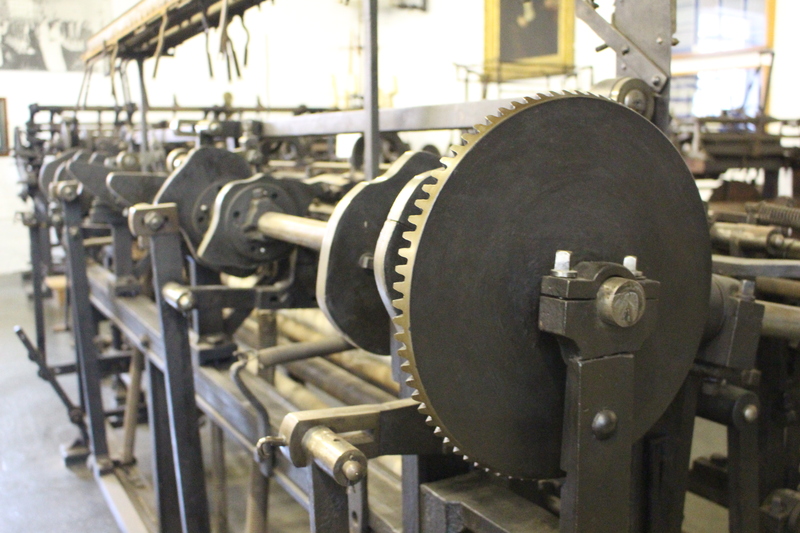 Then came the ‘twist machines’ – the most complex textile machines in the world. 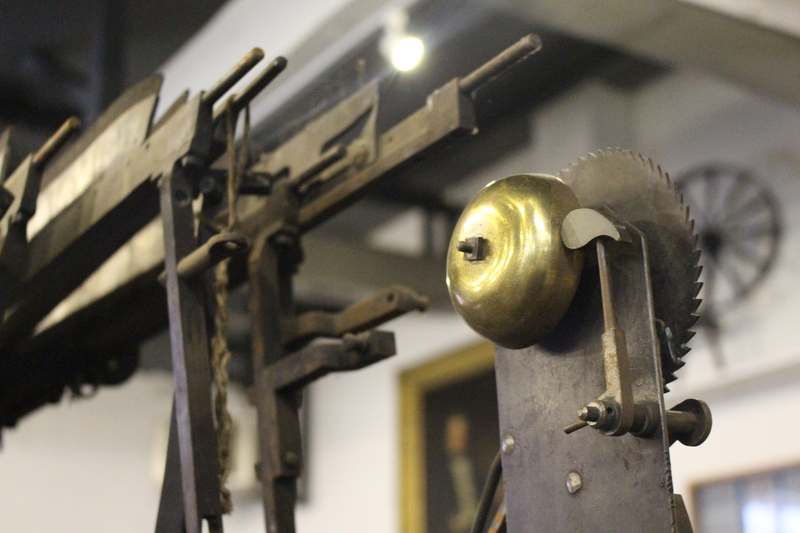 First, the Heathcote machine of 1808 (you will find a model near the entrance), then the Leavers machine of 1813; both made lots of cheap plain net lace which could be hand-embroidered. 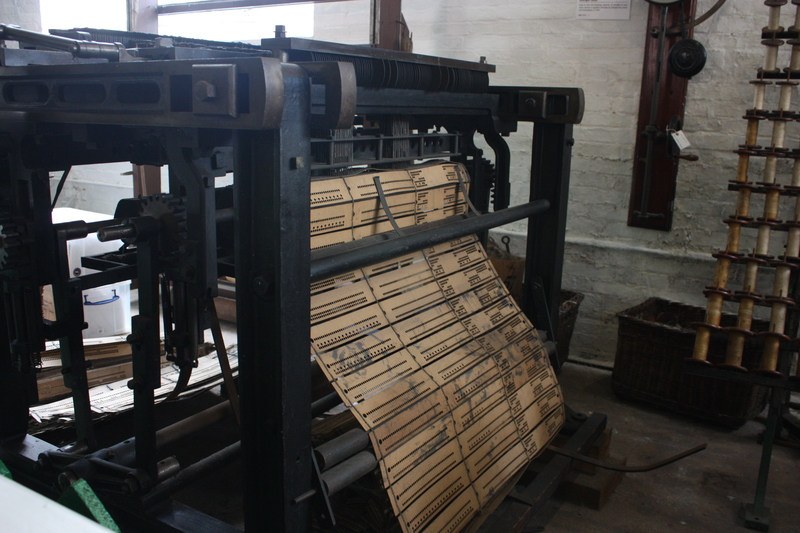 However, the Jacquard Card machine made pattern lace in widths of up to 9ft. This lace went on for finishing and dyeing. The overall process spanned many businesses and skills each providing a key step in the delivery of lace to Nottingham’s Lace Market. Our exhibits map the rise of the textile industry in Nottinghamshire. 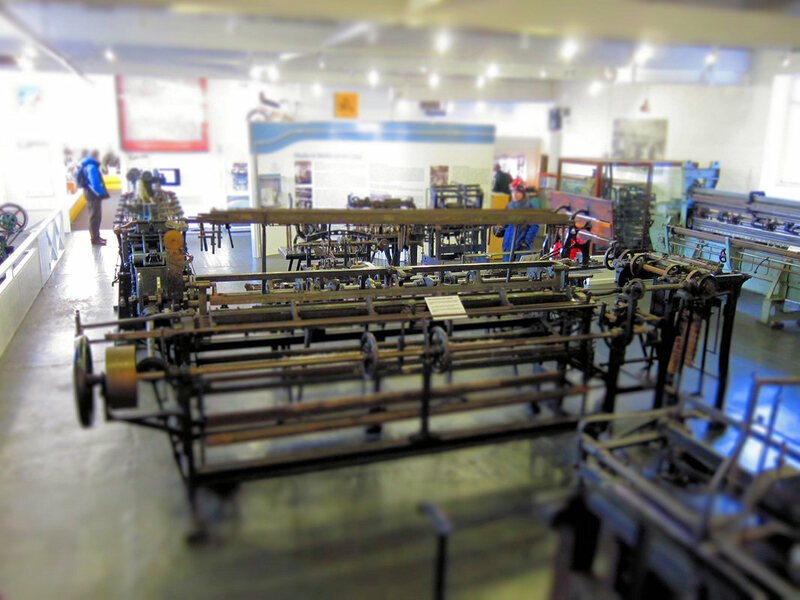 We have an early Leavers machine, and a larger, later machine with Jacquard equipment stands against the back wall. 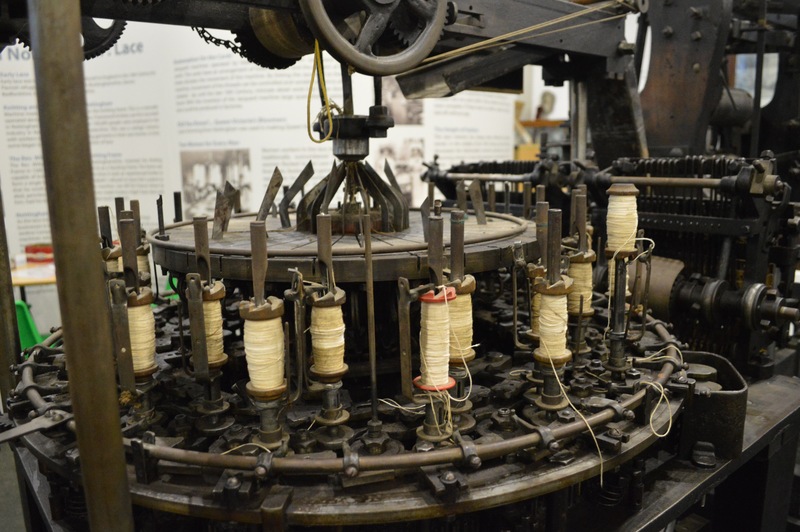 Thanks to Arts Council England funding from the recent ‘Lace Unravelled’ project, this machine has been restored to working order and can be demonstrated to visitors. A card punching machine and a pattern stand in the centre of the gallery. After the 1850s steam powered the machines. This revolution led to manufactories in Hyson Green, Radford, Bobbers Mill, Lenton, Beeston, Stapleford and many more parts of the city. It even extended manufacture further west into Derbyshire. 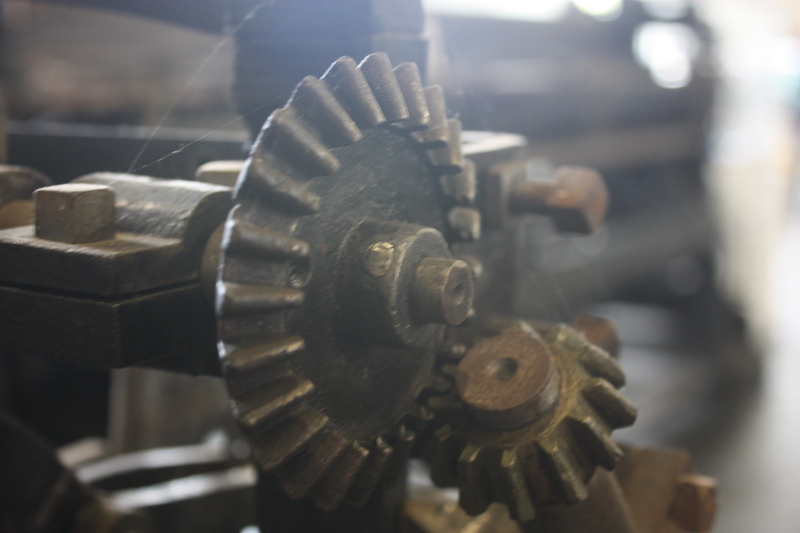 In its heyday, Nottinghamshire built around 90% of the lace making machines for the world. Many were exported to the United States. Come and see the development of Nottingham’s textile industry. Our volunteers will be delighted to guide you through its history and explain the stages involved in lace making. 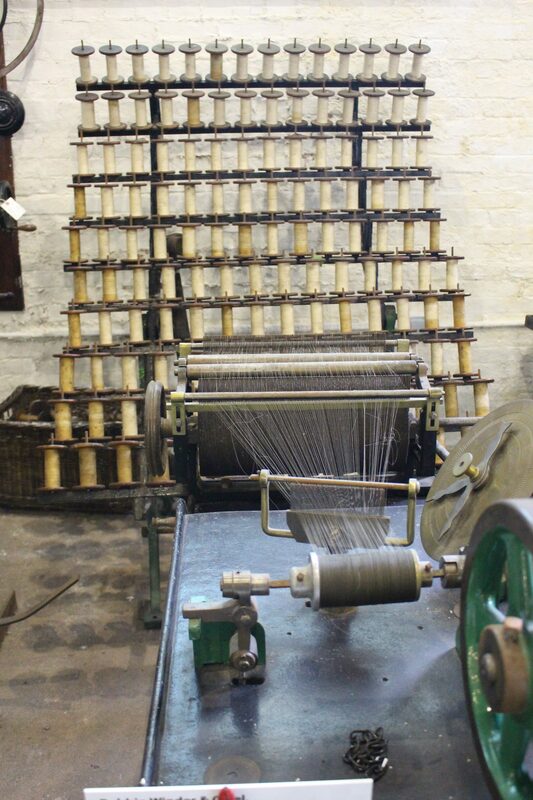 If you are specifically interested in Framework Knitting, then you should also visit the Framework Knitters Museum, in Ruddington, Nottingham. If you have any knowledge of lace manufacture, or you worked in the industry, we would love to hear your stories. We would like to get one of the machines in the museum’s collection up and working. The restoration will take expert knowledge, dedicated volunteers, patience and, of course, money. Our Kid Go Free policy, regular children's activities and family tours make the museum an ideal attraction for families. In the Courtyard at Wollaton Hall and Deer Park. 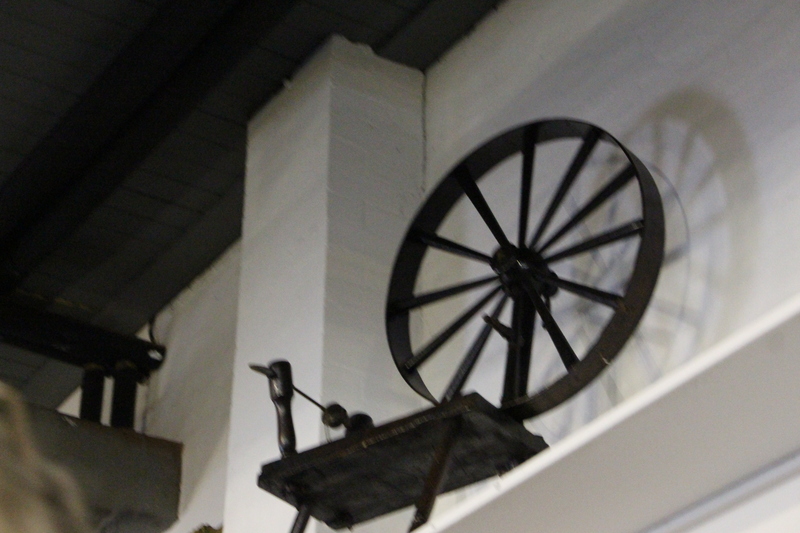 Nottingham Industrial Museum is a registered charity (Number: 1167388). We depend on your generosity to keep the museum open. Volunteers manage and operate Nottingham Industrial Museum. We provide excellent opportunities for personal development. Please support the museum with your time and skills.